Our message to visitors, first-time or any-time, is: We belong to you. Maybe you only need us for one day, one hour. Or maybe for a couple weeks. Or maybe for the rest of your life. Doesn’t matter. We belong to you. One way of putting that is to say, the church is not ours, it is God’s. Some of us have a hard time being hospitable to that sort of language – the possibilities of a charitable naturalistic interpretation elude some of us – and I wouldn’t be a very good host if I insisted on that language. I don’t. We can say instead that we are not here for our own self-interests. There is something beyond, or deeper, or higher, or wider, than gratification of our own passing impulses. There is a love not encapsulated within our own tastes and pleasures, and we are here to serve love. The congregation belongs not its members but to the family of belonging in which we members aspire to be nurturing stewards. I have said that the members belong to the visitors. I have to acknowledge, though, that we haven't always been as hospitable as we could be. To get ourselves into that welcoming state of being requires making time, making space, slowing down, and listening to one another. Listening is a healing art. 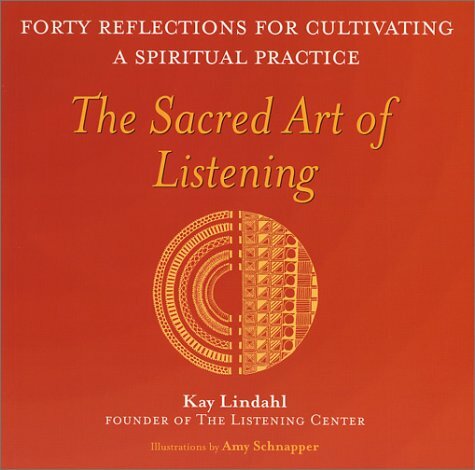 There are books you can read, seminars and trainings you can go to, skills to build for the practice of the healing art of listening. And they’re great. For right now, though, I just want to ask you simply breathe into those words for a moment. Do you feel the opening, the spaciousness that comes from that orientation? Go to the need, go to the other, the stranger, the visitor, the guest, ask, “what happened?” – or just “how are you?” “What is your quest?” – and listen. That’s giving the gift of hospitality. The stranger helps us discover our favorite lies. We might learn that we are fearful primates, and that we don’t even really like people, or even ourselves. Hospitality to others helps make ourselves whole, free from the self-preoccupation and narcissism that flesh is heir to. In the stretching we make room for the deep longing of our hearts, to build and live in a world where no one is excluded and no tear goes unnoticed. A heart that remains open to the suffering of others might just lead to some unexpected dinner and houseguests. The risk is that you might get taken advantage of. Or you might be unwittingly facilitating someone’s self-destruction: there’s a time for offering someone a beer, and a time refusing it, and we don’t always know which is which. We risk getting it wrong. I'm asking you to imagine that at the center of your life is the question, “What does this guest need?” I'm asking Unitarian Universalist congregations to put that question at the center of congregational life. "What does this guest need?" Putting that question at the center doesn’t mean we will always know the right answer to that question. But to live in the space of that question – always having our radar up for where the need is, and going toward the need we discern – is a life of healing. The payback is the growing, softening heart. The risks are worth it. Deep down, we humans don’t crave safety. What we ache for is acceptance, and acknowledgment of our worth. Therefore, embrace others as worthy guests, even if they don’t meet our needs or scare us. This is part 4 of 5 of "Radical Hospitality"
Next: Part 5: "Hospitality Is Inconvient"
Previous: Part 3: "We Belong to Those Who Need Us"